Teresa needed someone to take her existing WordPress website and re-design it completely with a modern and engaging look. With the redesign a big focus was on SEO and Teresa needed someone to make her number one on the major search engines to drive an increased number of visitors resulting in a higher conversion of updates on her health coach programs. Due to time and lack of technical background, Teresa required someone that could assist her throughout her journey on a monthly basis. Catarina has been an asset to the growth of my Health Coach business. Her Design and SEO skills have helped me develop a greater online presence as well as an increment on the acquisition of new clients. Catarina has a wide variety of skills, likes to take on new challenges and is always available. Her response time is also very fast. In addition she has a good understanding of all my requirements and is able to deliver them at the first try. It has been pleasure working with Catarina. Redesigned Teresa Barata’s logo using Photoshop. Redesigned Teresa Barata’s website using the Nexus WordPress theme as a base layer and customised it to the client’s requirements. Increased SEO rating from 39/100 to 70/100. 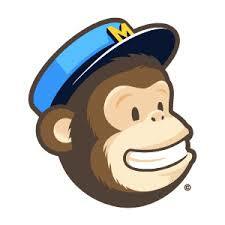 Integrated Mailchimp account within WordPress and created a subscription box. Integrated a plugin to automatically publish the client’s blog posts to her Facebook account. I have also integrated “Add This” to the blog page to allow users to share it on their social media. Created a Google Analytics account for the client as well as integrating it within WordPress. Created promotional banners for special events and promoting the client’s book. Currently maintain the website by updating its plugins and act as a Virtual Assitance by publishing new blog posts on the client’s behalf. Mobile/ Tablet ready design. Responsive desktop design with Media Queries to adjust correctly to each device’s size.